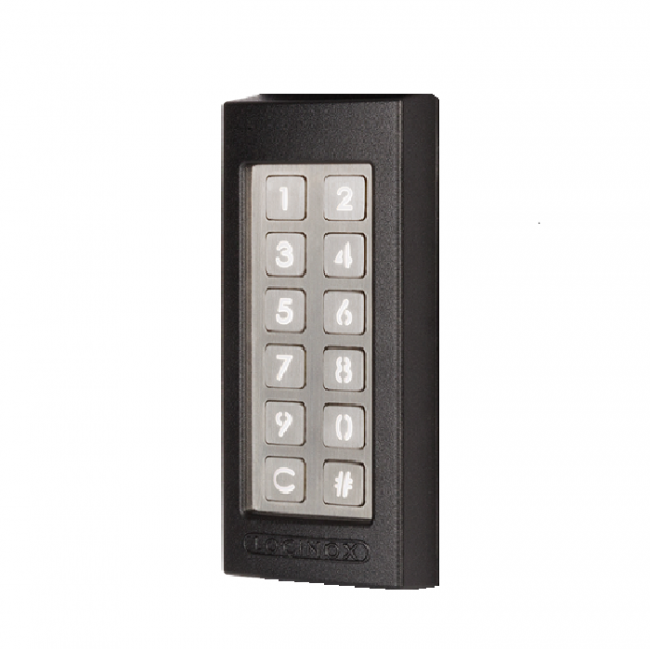 The SlimStone keypad with integrated LED lighting is unique in its kind thanks to its strength. The keypad was developed and tested for use in the most extreme weather conditions to guarantee access control in all circumstances. Assembly and mounting are very easy. The SlimStone keypad with integrated LED lighting is unique in its kind thanks to its strength. 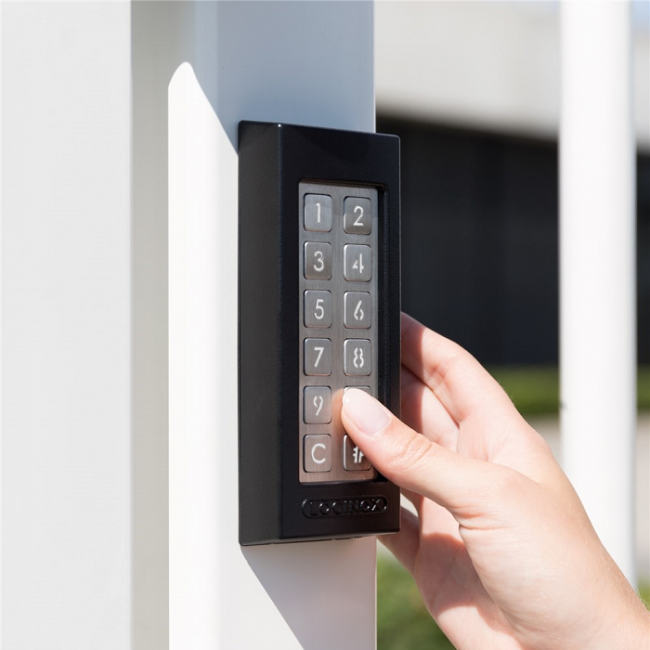 The keypad was developed and tested for use in the most extreme weather conditions to guarantee access control in all circumstances. Assembly and mounting are very easy. Thanks to the integrated relay, with a common open and closed contact, both the coupling to Locinox and other automation products and the programming of the SlimStone is very easy. Provided with innovative Quick-Fix or alternative fixing for wood and stone.